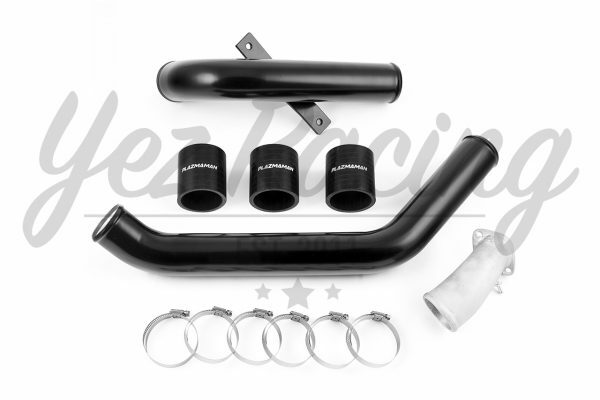 This competition hot side piping kit is to suit the Mitsubishi Evo 10 (CZ4A) model. 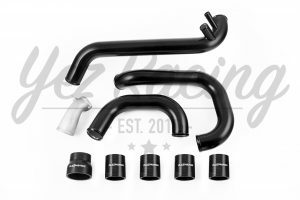 This piping kit replaces the factory rubber hose that runs from the primary intercooler inlet pipe, to the turbocharger compressor housing outlet. 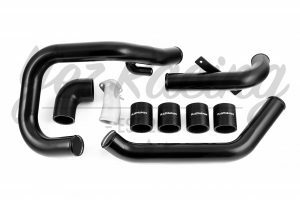 A smoother and larger internal diameter cast aluminium turbocharger outlet pipe is also included in this kit, which results in an instant power increase over the OEM piping. 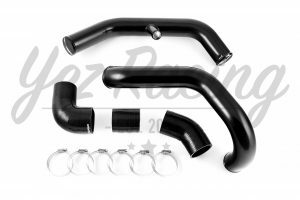 Completely constructed from CNC aluminium mandrel bent piping, this kit prevents any flex or compression under high RPM and boost levels. 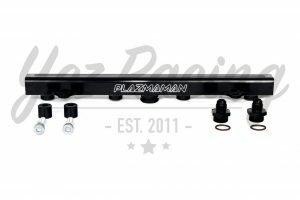 Another advantage of running an internally smooth hard pipe is that it encourages earlier turbo spool up and better throttle response throughout the rev range.